The FBI admitted Friday that its failure to follow through on Dylann Roof's background check enabled him to reportedly purchase the gun that he allegedly used to fatally shoot nine people at a historically black church in South Carolina in June. According to the New York Times, Roof—the self-confessed gunman in the attack at the Emanuel African Methodist Episcopal Church in Charleston—should have been denied the purchase. Roof reportedly once admitted to drug possession, and that mark on his criminal rap sheet should have disqualified him from being able to purchase the firearm. Here's what led to Roof's faulty background check, according to the report: Roof went to a local gun dealer in South Carolina April 11 to buy the gun. The FBI conducts background checks for individuals looking to buy a firearm. It did not give the dealer an immediate "OK" to move forward with the purchase, because it first wanted to dig deeper into Roof's criminal history to see if anything there would make him ineligible to own a gun. According to federal law, the FBI has three days to do its research and let the dealer know whether or not the purchase can go through. Bigger retail stores that sell guns, like Wal-Mart, for instance, will not sell a gun to a patron if they haven't received clearance from the FBI, even after the three-day period, the Times explains. But smaller gun dealers, like the one Roof went to, will sell a firearm if, after the three-day period, they haven't heard back from the FBI. The FBI was trying to get one of Roof's arrest records and was unable to do so within that time. 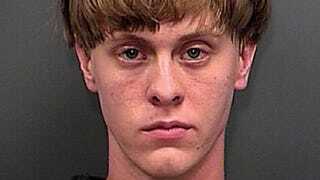 It was in that police report that Roof admitted to having a controlled substance. Unfortunately, the gun dealer never heard back from the FBI, and later sold Roof the gun that was reportedly used in the attack. "We are all sick this happened," said FBI Director James B. Comey. "We wish we could turn back time." Comey also said that the FBI has launched an investigation to determine what caused the slipup, or rather holdup, with Roof's background check.